Eat, drink, and bowl for prizes! 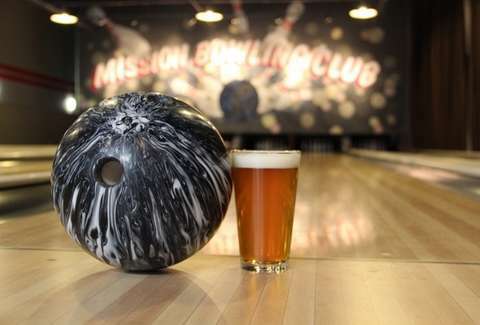 In what has to be the awesomest beer week event featuring a bowling alley and two guys who once brewed their beer in a SOMA garage, this three-course dinner pairs Mission Bowling eats with Pac Brew Lab's Squid Ink, Nautilus, and Imperial IPA. Also: there's a raffle where you can bowl for swag.